This pasta is so freaking good. O.M.G. I’m writing this at 8:42 in the morning and now I’m hungry for this dish. The marinara is from scratch but don’t be fooled, its not difficult to make. Instead of buying a jar of pasta sauce, just walk across the isle and grab a can of crushed tomatoes instead. Get a log of goat cheese (or you can use cream cheese) and as long as you have some staples in your cupboard you should be pretty much covered. And I don’t know why but there is something soooooo good about having a few slices of buffalo mozzarella on top drizzled with olive oil and some cracked sea salt and pepper. 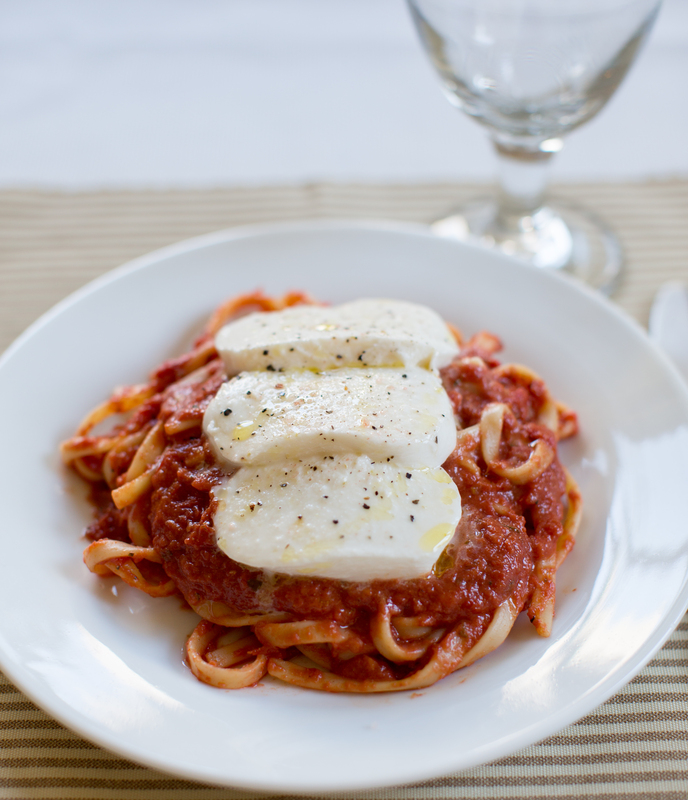 My husband isn’t usually a big fan of marinara in pasta but he really loves this recipe. Enjoy! Boil a large pot of water. 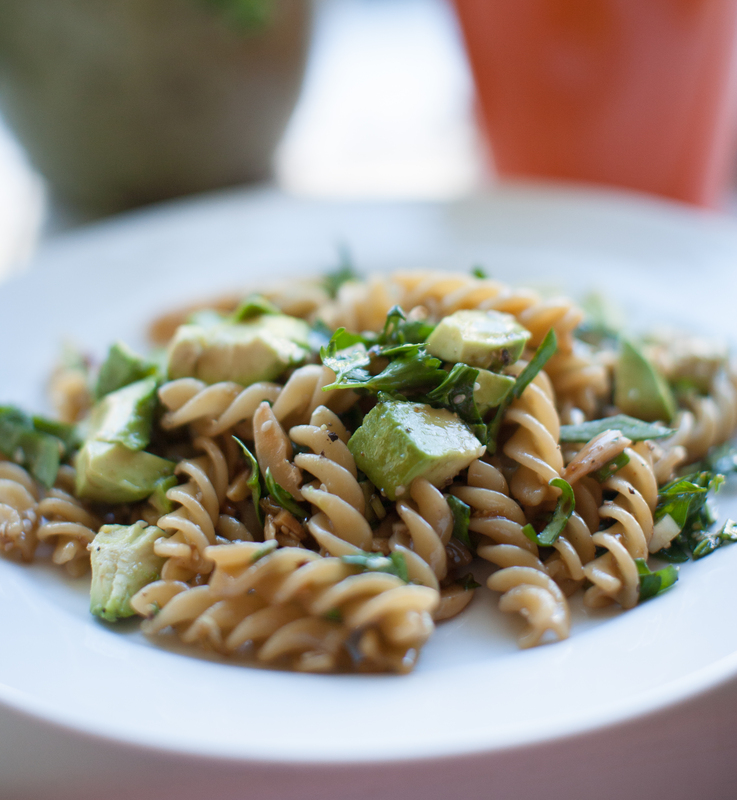 Drizzle some olive oil and salt in the water before adding the fettuccine. While the pasta is cooking make sauce. Drain pasta and immediately add pasta into the sauté pan and toss in marinara. 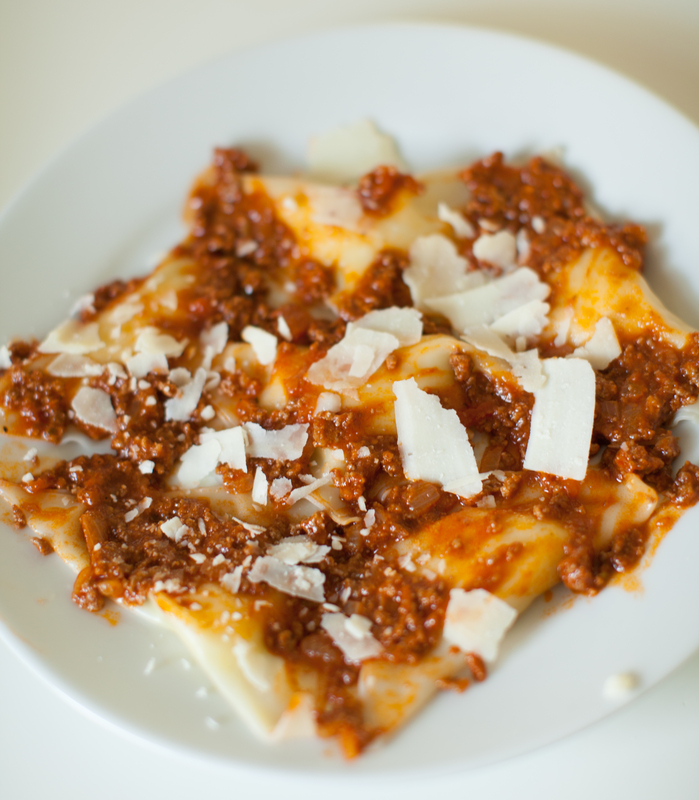 Once combined transfer to individual plates or a platter and put slices of the mozzarella on top. Crack some sea salt & pepper and drizzle a little more olive oil on top. Garnish with fresh basil if desired. Enjoy! The first time I had this dish was at my sister-in-law Jen’s house. 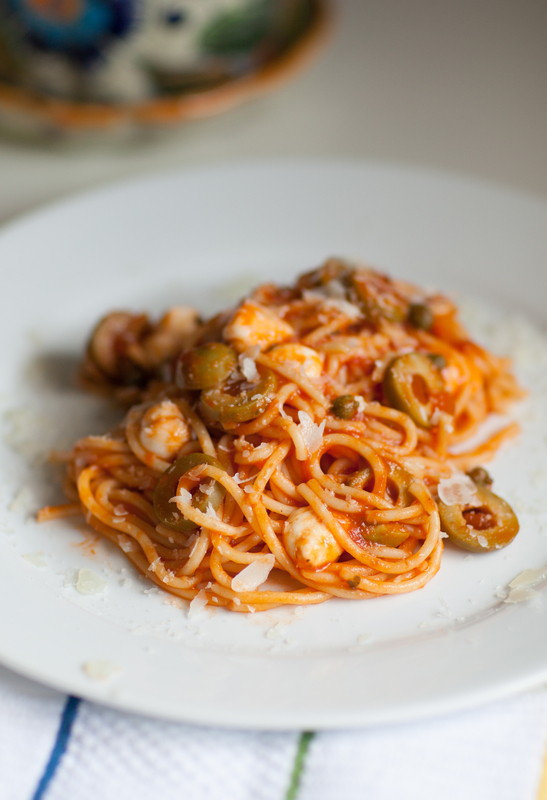 I had never tried anything like it and was pleasantly surprised to find that capers and olives were great in pasta. I love the bite that you get from anything pickled… I added a little twist to this recipe by putting in some buffalo mozzarella balls at the end. I feel like this gives the dish that little creaminess without it taking away from the essence of what a puttanesca is. This is a great recipe to have as an emergency dinner because you can have most the ingredients sitting on your pantry shelves. Even if you omit the mozzarella its still great. 😉 Enjoy! Boil a large pot of water and add pasta. While the pasta is boiling, heat olive oil in a sauté pan and add garlic. Cook for about a minute until fragrant. Add pasta sauce and stir until simmering. 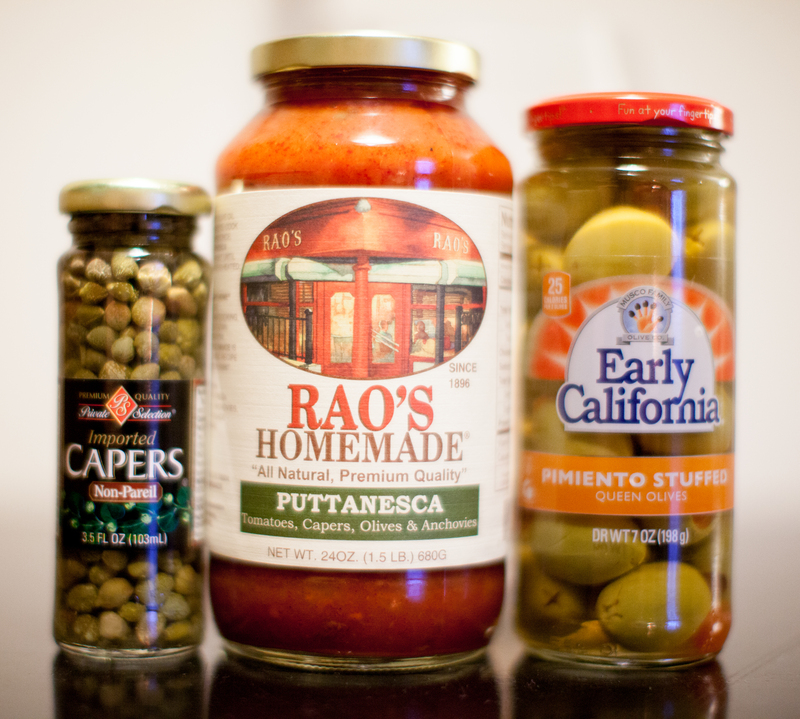 Add capers and olives. Add red pepper a little at a time to determine how much spice you like. Drain pasta and add to sauce. (Add the pasta to the sauce little by little to be sure the ratio of pasta to sauce isn’t too much or too little.) 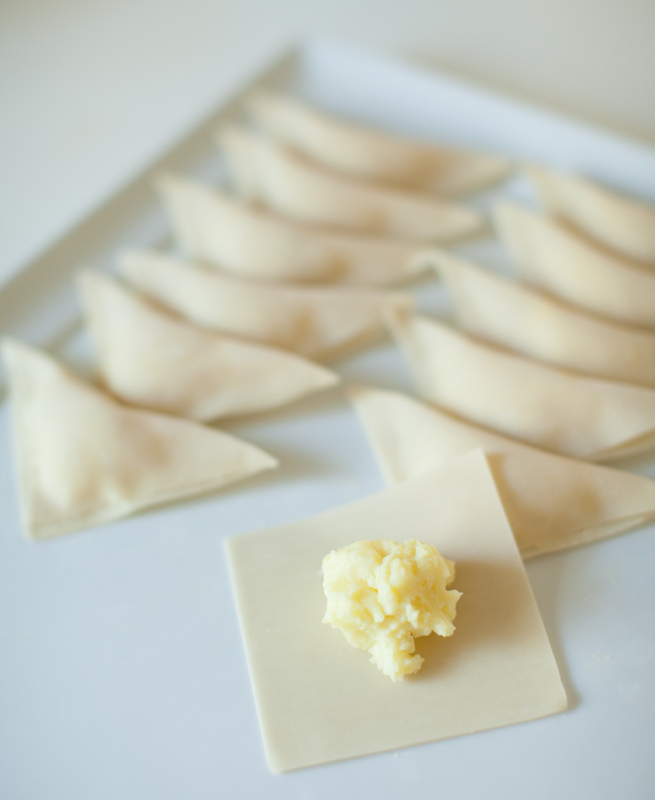 Once pasta is combined with sauce thoroughly, fold in buffalo mozzarella gently. Top with parmesan and serve. Enjoy!